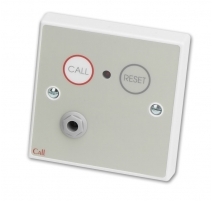 A button-operated call/reset point capable of generating Emergency calls on an 800 Series Call System. Onboard reset button cancels Emergency calls made from the NC804DE and Standard calls made from other devices wired on the same zone (such as ceiling pull units in Ensuite areas). 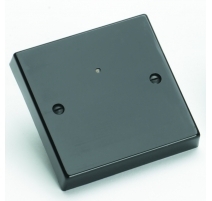 Ideal for use as a reset point for ceiling pull units that will allow a more urgent Emergency call to be made if additional assistance is required. Red reassurance LED confirms a call has been made. 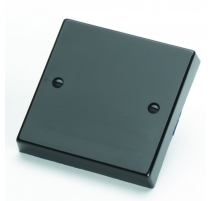 Mounts on a standard UK 25mm single gang flush or surface back box. Alarm current Determined by the type of control equipment and number / type of field devices connected to the system. Indicators Red Reassurance LED (lit intermittently for Emergency calls made on the NC804DE and constantly for Standard calls made from other devices on the same zone). 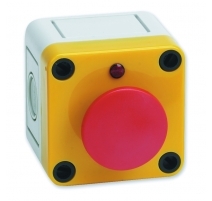 Controls Alert button (generates Emergency calls); Reset button (cancels Emergency calls from the NC804DE or Standard calls from devices wired on the same Zone). Connections SIG (Signal); -Ve (Negative); +Ve (Positive). Product dimensions (mm) 87 W x 87 H x 24 D mm. Mounts on a UK 25mm single gang back box. Product dimensions: 87 W x 87 H x 24 D mm. Mounts on a 25mm UK single gang back box.